Wall light switch plate for single-toggle switch, printed in custom VibraColor® full-color imprint. 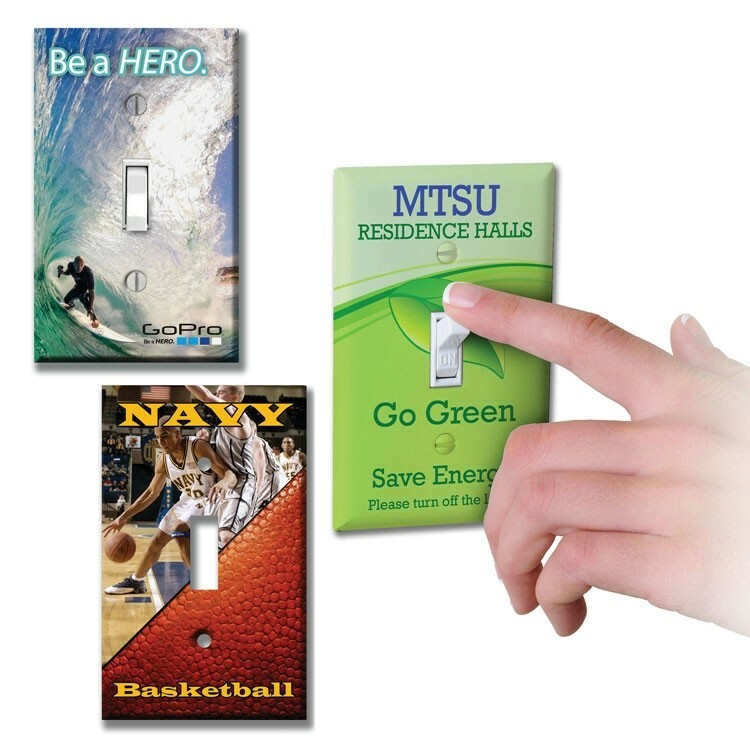 Great for sports teams, colleges, schools, homes, offices, hospitals, hotels & more! Includes 2 screws.